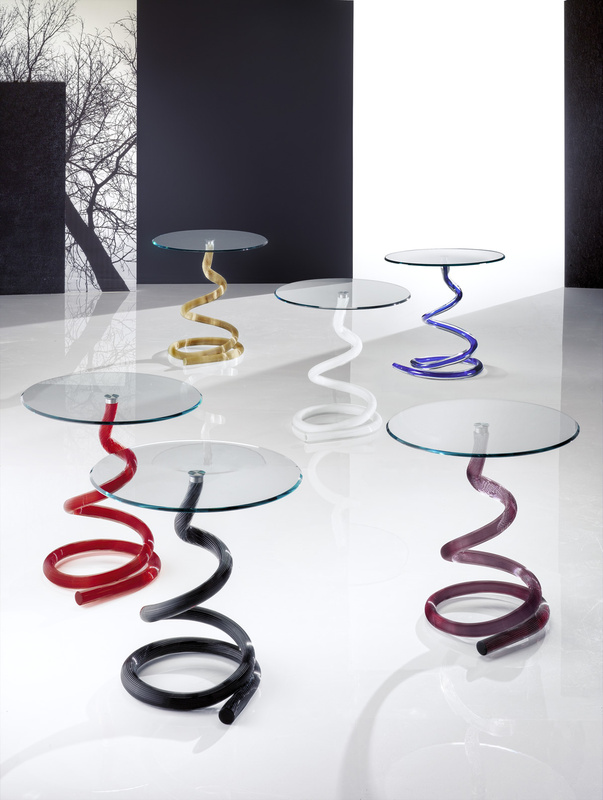 BASE IN MURANO GLASS BASE AVAILABLE TRANSPARENT WITH CORE IN BLUE, GREEN, RED OR BLACK OR IN RIBBED WHITE SANDBLASTED FINISH. GLASS TOP 10 MM TH. WITH 45° BEVEL.